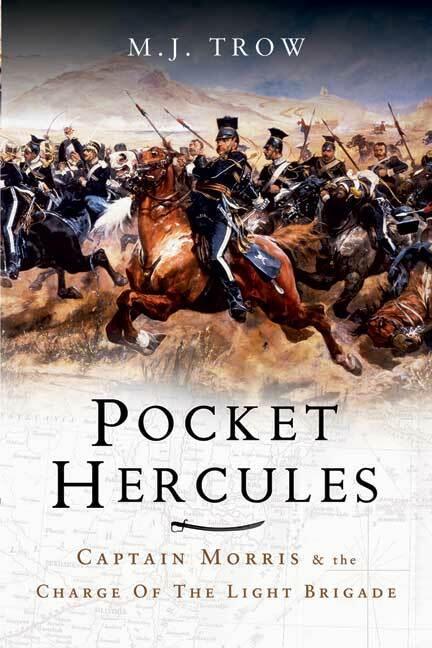 You'll be £19.99 closer to your next £10.00 credit when you purchase The Pocket Hercules. What's this? William Morris was in the front rank during the Charge of the Light Brigade. He was one of the first horsemen to reach the Russian guns. This is his story. M.J. Trow's vivid biography of this typical Victorian soldier gives a fascinating insight into the officer class that fought the Crimean War. In recording Morris's experiences during a notorious campaign, the author reveals much about the hidebound character of the British army of that era. The portraits of Morris's fellow officers and commanders - men like Nolan, Raglan and Lucan - are telling, as is the contrast between Morris and his incompetent superior Cardigan. The author meticulously recreates Morris's life and, through him, the lives of a generation of professional British soldiers. Trow's book presents an intriguing insight into the English officer corps of the Victorian Army, with all of its idiosyncrasies, such as the purchase of commissions, seniority, etc. ... This is an important contribution to the military history of the period. M.J. Trow has written highly praised historical biographies as well as studies of true crime. He is also a very successful novelist. Among his recent publications are lives of Boudicca, Vlad the Impaler, Kit Marlowe, the hero of the Charge of the Light Brigade, Captain William Morris, War Crimes: Underworld Britain in the Second World War and The Cato Street Conspiracy. He has produced several best-selling accounts of criminal cases, in particular volumes on Derek Bentley, the Wigwam Murder and Jack the Ripper, but he is perhaps best known for his many novels which include the Lestrade and Maxwell series.